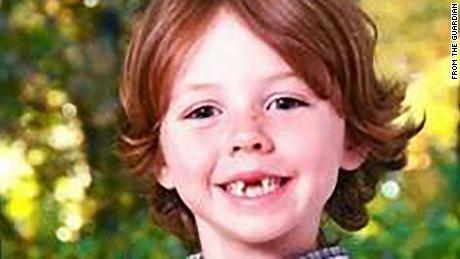 Charlotte was sweet, outgoing and full of energy, her grandmother told CNN affiliate WCCO in Minnesota. "This is tough. This is surreal. You can't believe this could happen," Irene Hagen told the station. "The whole family is just devastated, and we're all trying to come to terms with it. "She said her granddaughter loved school and dresses. Her hair was a mass of beautiful red curls. "It's horrible. It's really horrible," Hagen told WCCO. "It's hard to believe that someone would kill children, innocent children." 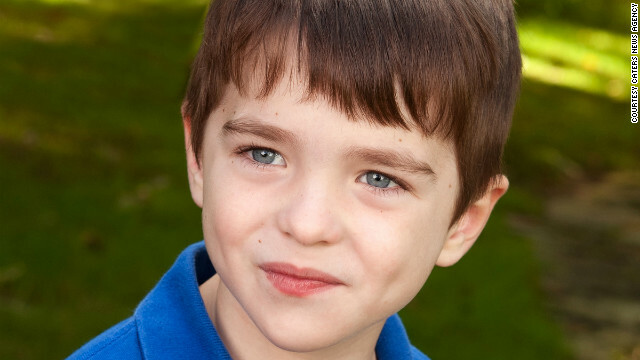 Daniel earned his missing two front teeth, his family used to say. His "fearless" pursuit of happiness and life also earned him ripped jeans. "Despite that, he was, as his mother said, 'Just So Good,'" his family wrote in a statement published in the New Haven Register. Taking after his musician dad, he and his siblings — brother James and sister Natalie — formed a band. Daniel played drums. He loved to ride waves at the beach and make s'mores around bonfires with his cousins. "He embodied everything that is wholesome and innocent in the world," the family said. She probably didn't know it when she died, but her best friend was about to propose.He had recently asked D'Avino's parents for their blessing, and he was planning to ask for her hand in marriage on Christmas Eve.That and other details about D'Avino's life were described in an obituary posted on the website of Munson-Lovetere Funeral Homes of Connecticut. "Her presence and tremendous smile brightened any room she entered," it read.Born in Waterbury, D'Avino received her undergraduate degree from the University of Hartford and her master's from Post University. She was working toward her doctorate at the University of St. Joseph of Hartford.D'Avino loved karate, cooking, animals, photography and her two younger siblings. 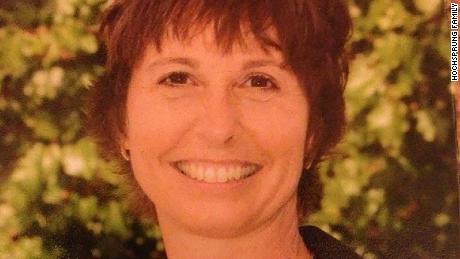 "Her passion, however, was her occupation as a behavioral therapist working with children within the autism spectrum," the obituary read. Her favorite stuffed animal was a lamb; pink and purple were her favorite colors.Olivia's family posted a statement on Facebook with those and other details about their beloved daughter. "She was insightful for her age and had a great sense of humor. She laughed a lot and always lit up a room including the people around her. 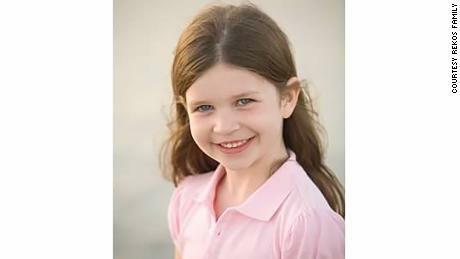 She was very creative and was always drawing and designing things," her family said.Olivia took art and dance lessons, played tennis, soccer and swam. She was involved in Girl Scouts and musical theater. She loved school and did well in math and reading.Her family described her as a "grateful child … never greedy." Each night, Olivia led grace at the dinner table. 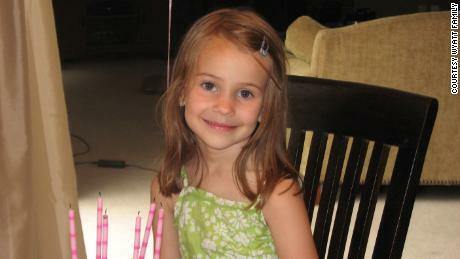 Josephine celebrated her seventh birthday just days before she died. In one picture, published in various news stories, she's smiling with glasses on the tip of her nose.Josephine liked to ride her bike and sell lemonade in her neighborhood in the summer, The Wall Street Journal reported. The little girl loved the color purple. Dylan and his family had moved from England to Connecticut two years before he died. "We specifically chose Sandy Hook for the community and the elementary school. We do not and shall never regret this choice," Dylan's family said in a statement. "Our boys have flourished here, and our family's happiness has been limitless." 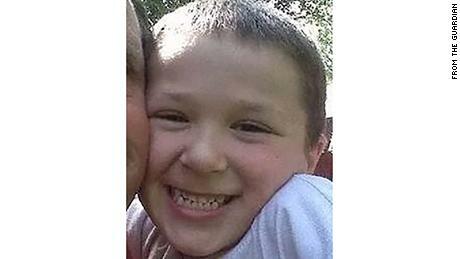 Dylan's family said he loved to cuddle and play tag with neighbors at the bus stop every morning. "He was learning to read and was so proud when he read us a new book every day," the family said. "He adored his big brother Jake, his best friend and role model." Dylan's parents also expressed gratitude to the educators who died with their son. 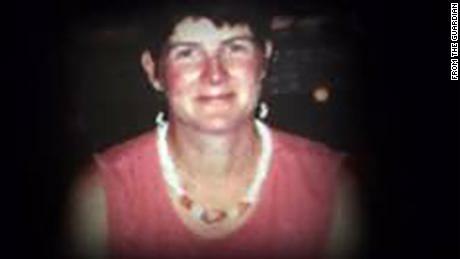 "We cannot speak highly enough of Dawn Hochsprung and Mary Sherlach, exceptional women who knew both our children," the family said. 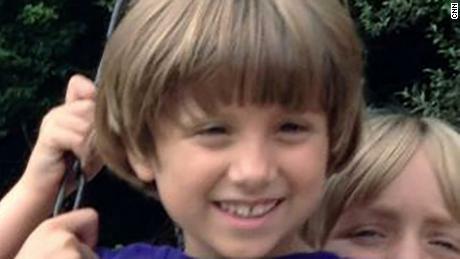 "Dylan's teacher, Vicki Soto, was warm and funny and Dylan loved her dearly. We take great comfort in knowing that Dylan was not alone when he died, but was wrapped in the arms of his amazing aide, Anne Marie Murphy. Dylan loved Mrs. Murphy so much and pointed at her picture on our refrigerator every day. "Though our hearts break for Dylan, they are also filled with love for these and the other beautiful women who all selflessly died trying to save our children." Hochsprung, who became Sandy Hook Elementary's principal two years before the shooting, was "really nice and very fun, but she was also very much a tough lady in the right sort of sense," friend Tom Prunty said. And the students loved her. "Even little kids know when someone cares about them, and that was her," he said. 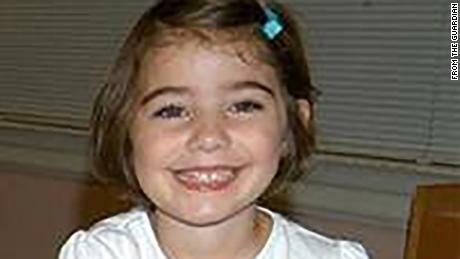 "I never saw her without a smile," said Aimee Seaver, the mother of a first-grader. Hochsprung lived in Woodbury, Connecticut, with her husband, two daughters and three stepdaughters. 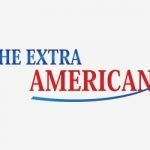 The career educator majored in special education for her bachelor's and master's degrees in the 1990s and had just entered the PhD program at Esteves School of Education at the Sage Colleges in New York. Hochsprung led a school district's strategic planning panel and was the recipient of a national school grant.Her accomplishments included overseeing the installation of a new security system requiring every visitor to ring the front entrance's doorbell after the school doors locked at 9:30 a.m."My mom, Dawn Hochsprung, was taken tragically from me. But she went down in a blaze of glory that truly represents who she was," her daughter, Cristina Hassinger, tweeted. Sweet. Unique. Bright. Determined. Sparking.Those are words Madeleine's family used to describe their little girl. "She was an avid reader who loved running and dancing," they said. "She was a born leader." 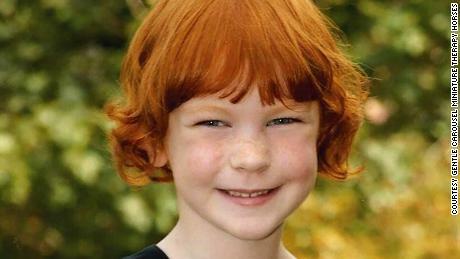 The little girl with bright red hair will be remembered for her smile and her love of animals.Catherine is survived by her older brother, her parents, grandparents, great-grandmother, uncles, aunts and nine cousins. 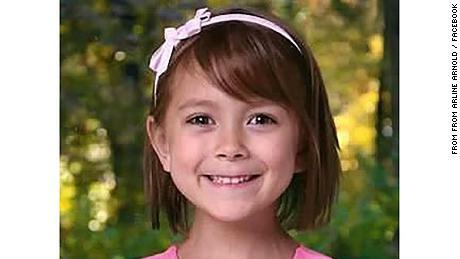 "Her family prays that she, all the students of Sandy Hook Elementary, and all those affected by this brutal event find peace in their hearts," they wrote in her obituary.A Facebook page honoring Catherine spoke of how she is now an angel. 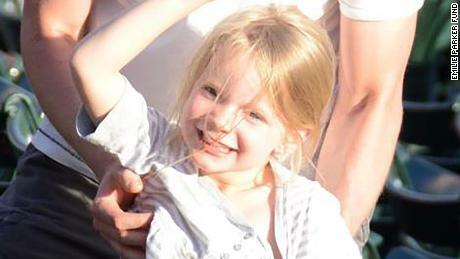 "Such a beautiful little soul," the post read, saying the family's loss is heaven's gain. What Chase really wanted for Christmas was his two front teeth. "I saw him two days ago, and I asked him if he wanted to see Santa, and he told me that he wanted his teeth back, and it was really sweet," Chase's neighbor, Keeley Baumann, 13, told the News-Times newspaper.At 6, Chase completed his first triathlon, but that was just one of his pursuits. He loved baseball. He was in the Cub Scouts. He looked forward to the kids' workshop at the local Home Depot. "We are thankful to the Lord for giving us seven years with our beautiful loving son. It is with heavy hearts that we return him," the family said in an obituary. Jesse loved math, riding horses and playing at his mom's farm, his father told the New York Post. "He was just a happy boy," Neil Heslin said. "Everybody knew Jesse." He told the newspaper that his son was planning to make gingerbread houses at school. Heslin was planning to help.Instead, the last time he saw his son was when he dropped him off at school at 9 a.m."He was going to go places in life," Heslin told the Post. "One, two, three, ready and go," Ana counts down in a homemade video provided to CNN affiliate WTIC.The girl in pigtails stands in front of a piano as her brother plays. Her voice is clear, bigger than her size. Ana smiles and waves. Her father, Jimmy Greene, is a jazz musician. 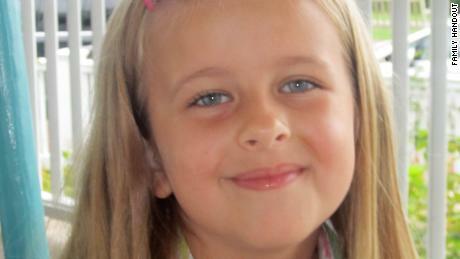 His representative released a statement on Ana's death, describing the little girl as "beautiful and vibrant. 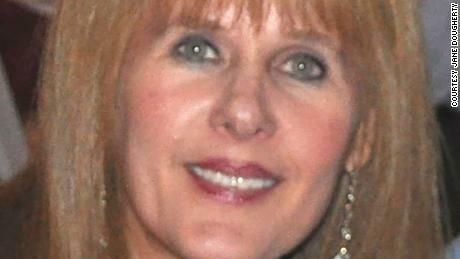 ""The family has requested privacy at this time of heartbreaking loss," it read. They "have asked us to relay their sincere gratitude for the outpouring of support and sympathy locally, nationally and internationally." As he was quick to remind everyone, James was 6 and ¾. "He loved to wear shorts and T-shirts in any weather and grab the gel to spike his hair," his family said in a loving obituary. "He would often sing at the top of his lungs, and once asked, 'How old do I have to be to sing on a stage? '"Indoors, he spent his time playing games on the iPad — especially the lawn-mowing one. 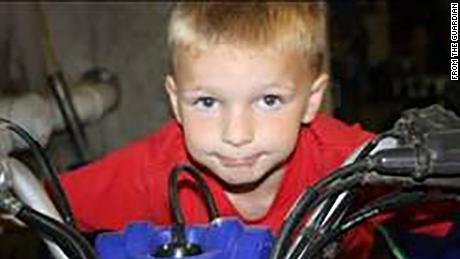 Outdoors, he loved to dive off the diving board, "swim like a fish" in his grandfather's pool and ride his bike — without training wheels. "I need to go outside, Mom. I need fresh air," he would often say. He was born four weeks early — because he was hungry, his family joked. James had a voracious appetite. His favorites? His dad's egg omelets with bacon, and his mom's French toast. He looked up to his older sister, wanting to do everything she could. "They were the best of friends, going to school together, playing games together, and making endless drawings and crafts together. "The boy, whose family fondly called him "J," will be incredibly missed, they said. Grace was the "light and love of our family," her mother told CNN.She loved her brother, school, the beach and wanted to be a painter.For her seventh birthday in November, Grace requested a purple cake with a turquoise peace sign and polka dots. And that's exactly what she got. "She was all about peace and gentleness and kindness," Lynn McDonnell told CNN's Anderson Cooper. "Grace didn't have an ounce of hate in her, and so we have to live through Grace and realize that hate is not how our family is. "The family drew cupcakes, ice creams cones, lighthouses and seagulls — all things Grace loved — on her tiny white casket. A hero. That's how a first responder reportedly described Murphy to her father.He told Newsday that authorities told him her body was found in a classroom, covering young children killed in the shooting in an apparent attempt to shield them. "She died doing what she loved. She was serving children and serving God," Murphy's mother, Alice McGowan, told the newspaper.A married mother of four, Murphy was artistic and hardworking, her parents said. 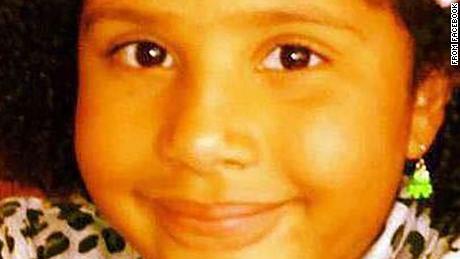 "She was a happy soul," her mother told Newsday. "She was a very good daughter, a good mother, a good wife." She could "light up a room," Emilie's father said about his oldest daughter.Robbie Parker described her as "bright, creative and very loving." Emilie was always willing to try new things, he said, except food. Her laugh was infectious. 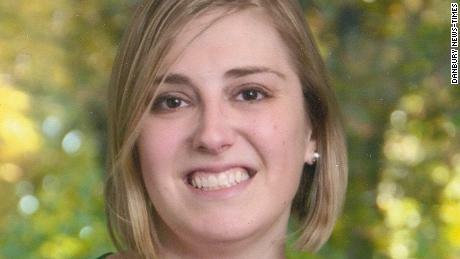 "My daughter Emilie would be one of the first ones to be standing up and giving her love and support to all of those victims, because that is the type of person she is," Parker said. She was "an exceptional artist, and she always carried around her markers and pencils so she never missed an opportunity to draw a picture or make a card for someone," he said. "This world is a better place because she has been in it," Parker said.Emilie's aunt described her niece as the "sweetest little girl I've ever known. "The family is devastated that "someone so beautiful and perfect is no longer going to be in our lives and for no reason," said Jill Cottle Garrett.Emilie's father, who works as a physician assistant in the newborn unit at the Danbury hospital, recalled his last conversation with his daughter was in Portuguese, a language he was teaching her. "She said that she loved me, and I gave her a kiss, and I was out the door," he said. 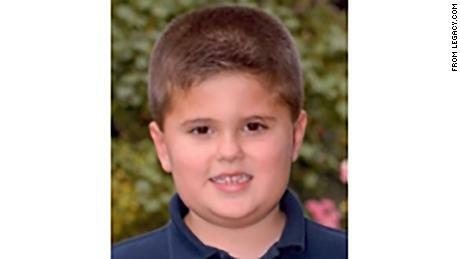 Jack was a first-grader, and his interests ran the gamut — baseball, basketball, wrestling, snow skiing. 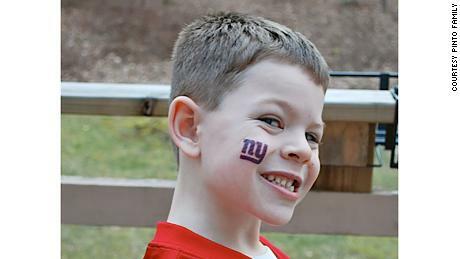 But his first love was football, and his idol was Victor Cruz, then the New York Giants star receiver.Cruz paid tribute to the team's young fan by scribbling "Jack Pinto. My Hero" on one of his cleats and "R.I.P. Jack Pinto" on the other for the team's game with the Atlanta Falcons the Sunday after the shooting. On his glove, Cruz wrote, "Jack Pinto. This one is 4 U! "Jack participated in his first wrestling match not long before his death and won a medal, according to the president of the New Milford Wrestling Association. "In life and in death, Jack will forever be remembered for the immeasurable joy he brought to all who had the pleasure of knowing him, a joy whose wide reach belied his six short years," Jack's family wrote in an obituary for the little boy. "He had a huge heart, and he was so much fun, a little bit rambunctious, lots of spirit," Noah's aunt told CNN. "He was really the light of the room. "Victoria Haller said her nephew loved playing with his cousins and siblings, especially his twin sister. "He was a gorgeous, gorgeous boy, and he could really get what he wanted just by batting those long eyelashes and looking at you with those big blue eyes. 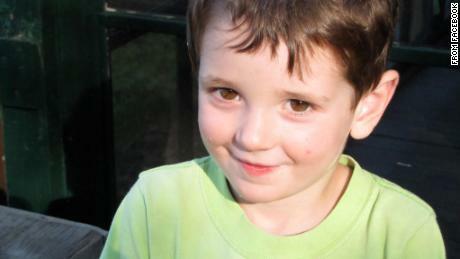 You really couldn't say no to him," she said.His siblings weren't told immediately how Noah passed away, Haller said. "How do you tell them that's how their brother died?" she asked. "It's the unthinkable really." "You were a sweet little girl and you will be missed." That's the message that Caroline's aunt reportedly tweeted, saying good-bye to her niece, according to the online version of the Press-Telegram in Long Beach, California. 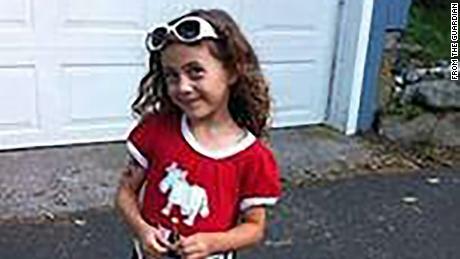 "It hurts even more to see a familiar name on that list," the report said Paige Tremblay also tweeted.A Facebook page called "RIP Caroline Previdi — Sandy Hook Massacre Victim" contains dozens of messages. One reads: "Rest in Peace, sweetheart. I know for sure that God is with you and all the other sweet little angels. I feel so very sorry for all these families who lost their precious kids, my heart goes out to all of you." Jessica loved everything about horses — horse movies, horse books, drawing horses and writing stories about them.She asked Santa this year for new cowgirl boots and a cowgirl hat. Her family had promised she could get her own horse when she turned 10. 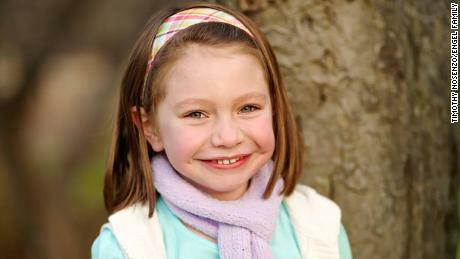 "She was a creative, beautiful little girl," her family said in a statement, describing Jessica as their "rock. ""She had an answer for everything, she didn't miss a trick, and she outsmarted us every time. We called her our little CEO for the way she carefully thought out and planned everything," they said. "We cannot imagine our life without her. "Jessica also loved orca whales and playing with her two little brothers. "We are mourning her loss, sharing our beautiful memories we have of her, and trying to help her brother Travis understand why he can't play with his best friend," her family said. Avielle was happiest when she was on a horse. Her trainer, Annette Sullivan, told the Connecticut Post that Avielle would "giggle when she trotted. "Like kids her age, her first loose tooth was a sign she was growing up. "She showed me her wiggly tooth, she was so excited," Sullivan told the newspaper. "She was the most delightful little girl you ever met in your life." Rousseau, a permanent substitute teacher at Sandy Hook Elementary, "wanted to be a teacher from before she even went to kindergarten," her mother said in a written statement. "We will miss her terribly and will take comfort knowing that she had achieved that dream," Teresa Rousseau said.She grew up in Danbury, Connecticut, and earned a bachelor's degree from the University of Connecticut and a master's degree in elementary education from the University of Bridgeport. 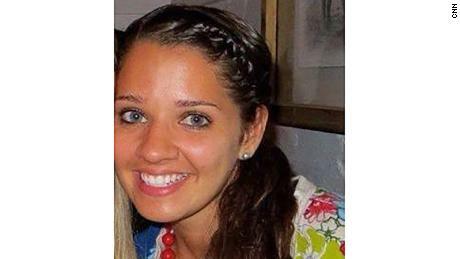 Rousseau "worked as a substitute teacher in Danbury, New Milford and Newtown before she was hired in November as a permanent substitute teacher at Sandy Hook," her mother said. Sherlach, Sandy Hook Elementary's school psychologist, was with Hochsprung when they heard a "pop, pop, pop" sound around 9:30 a.m., a parent who was with both women at the time told CNN. Sherlach was shot to death after heading into the hall to find out what was happening. "I … am always ready to assist in problem-solving, intervention and prevention," Sherlach wrote on her website.Sherlach earned her undergraduate degree in psychology at SUNY Cortland and a master's degree at Southern Connecticut State University. She worked as a rehabilitation assistant at a group home for disabled adults and as a community mental health placement specialist before becoming a school psychologist. She worked in three Connecticut school systems before moving to Sandy Hook Elementary in 1994. During her time in Newtown, Sherlach kept busy as a member of numerous groups, including the district conflict resolution committee, safe school climate committee, crisis intervention team and student instructional team.Sherlach and her husband of more than three decades lived in Trumbull, Connecticut, and, together, they were "proud parents" of two daughters in their late 20s. Her website listed her interests as gardening, reading and going to the theater. Soto, a first-grade teacher at Sandy Hook Elementary, moved her students away from the classroom door when she heard gunfire, which students initially "thought were hammers falling," according to the father of one of her students. "That's when the gunman burst in, did not say a word, no facial expressions, and proceeded to shoot their teacher," said Robert Licata, whose 6-year-old son, Aiden, escaped by running past the shooter.Soto's mother said her daughter was selfless. "She would not hesitate to think to save anyone else before herself, and especially children. She loved them more than life, and she would definitely put herself in front of them any day," Donna Soto told CNN.Soto had wanted to be a teacher since she was 3 and talked about her students with "such fondness and caring," her mother said.Soto's cousin, James Wiltsie, said Soto "instinctively went into action, when a monster came into her classroom, and tried to protect the kids that she loved so much. ""We just want the public to know that Vicki was a hero," he said.Soto had a dog she loved. 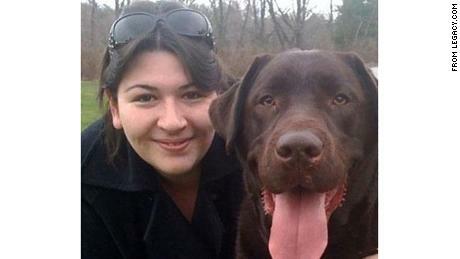 The black lab Roxie spent Saturday wandering around Soto's apartment, apparently looking for her, relatives said. Ben loved The Beatles, lighthouses and the No. 7 train to Sunnyside, Queens, his family said in a statement.He and his older brother Nate "filled the house with the noise of four children." "Ben Wheeler was an irrepressibly bright and spirited boy whose love of fun and excitement at the wonders of life and the world could rarely be contained. 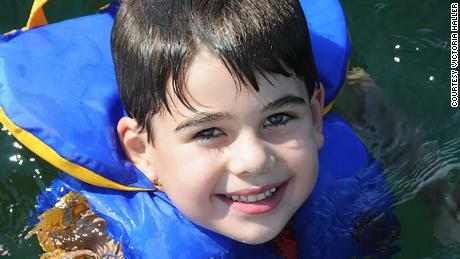 His rush to experience life was headlong, creative and immediate," his family said.Ben loved soccer and swimming. Recently, he performed at a piano recital — a major feat for a little boy who rarely sat still.Friday morning before school, he told him mom: "I still want to be an architect, but I also want to be a paleontologist, because that's what Nate is going to be, and I want to do everything Nate does. "Ben, Nate, and their parents, Francine and David Wheeler, moved to Newtown in 2007. Francine Wheeler is a music teacher and performer. David Wheeler is an illustrator and designer.Two days after the shooting, Francine Wheeler's band posted the following message on its Facebook page: "With heavy hearts, we inform you of our saddest news: Francine Wheeler, a founding member of The Dream Jam Band, has lost her precious 6-year old son, Ben, to the tragedy in Newtown, Connecticut. Our prayers and love go out to Francine, David and Ben's big brother, Nate." Allison once offered her snacks to a stranger on plane. That's just the type of person she was.Allison was a "sweet, creative, funny, intelligent little girl who had an amazing life ahead of her," her parents said.They described their daughter as kind-hearted. She loved to draw and wanted to be an artist. "She loved to laugh and was developing her own wonderful sense of humor that ranged from just being a silly 6-year-old to coming up with observations that more than once had us crying with laughter," her parents said. "Allison made the world a better place for six, far too short years, and we now have to figure out how to move on without her … We love and miss her so much." CNN's Michelle Krupa, Ralph Ellis, Dana Ford, Alan Duke, Danielle Dellorto, Jason Carroll and Kate Bolduan contributed to this report. The post The day 26 lives were taken appeared first on News Wire Now.